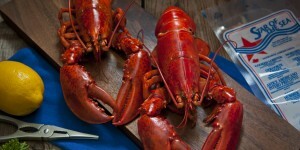 TIGNISH – It might be his name on the plaque as Atlantic Canada’s processor of the year, but Francis Morrissey, gives the credit to the fish plant workers, member fishermen and the community for the success Tignish Fisheries Co-op Royal Star Foods has enjoyed. 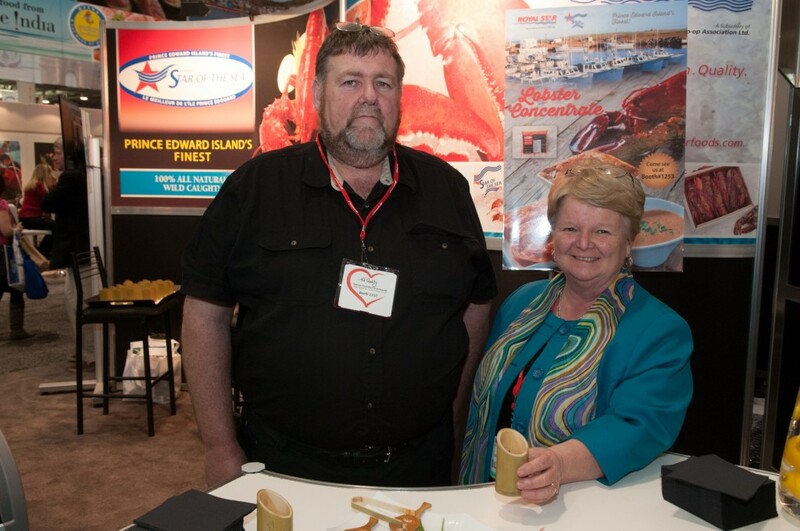 ACOA Minister Gail Shea, shown here with Francis Morrissey, general manager of Royal Star Foods, learns about the company’s latest innovative product, revealed at the 2013 International Boston Seafood Show. 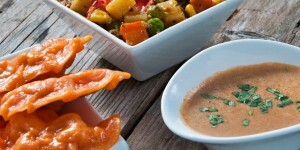 The all-natural lobster concentrate can be used as a soup base for industrial/commercial food manufacturers and is created using existing by-products from the company’s processing plant. Morrissey, who manages the processing co-operative, accepted the processor of the year plaque during Fish Canada Workboat Canada’s recent trade show in Moncton. 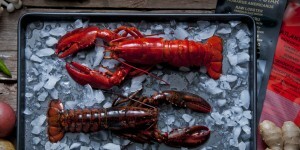 “Really and truly, it’s the fishermen, the plant workers and the community who do the work,” he said. Originally published by the Journal Pioneer on February 3, 2014.